I knew it was going to be a bad night when my mom bought a hard lemonade. It was the first time she’d ever purchased an alcoholic beverage inside the stadium. The game started at 3:33 p.m., and the sun was hidden before things got underway. It was pitch dark by halftime. There’s a backlash to the concept of “jumping ship” when it comes to fan interest in a professional sports team. Every time I mention on Twitter or in person that I was born in Pittsburgh and didn’t become a Steeler fan, the looks and reactions I get are akin to the final scene in Invasion of the Body Snatchers. You think you have a friend and colleague in which you can confide, and it turns out the other person’s actually an alien copy who doesn’t take kindly to people who color outside the lines. I started out as a Dolphins fan, mainly because I liked the colors, and partly because I don’t always take the straight and easy path, and there was no straighter or easier one than following the Steelers during their four Super Bowls in six years run. Between the 1999 Super Bowl appearance and that painful, horrible playoff loss to the Ravens six years ago, the Tennessee Titans had a run that was tough to beat. They were in the playoffs six times in a decade, along with one Super Bowl show. I became a Titans fan on Super Bowl Sunday in 2000 at the conclusion of their crazy playoff run. It was an odd month for me personally that featured getting dumped on New Year’s Day. The Titans season was perfectly timed following a three-year stretch of being lame ducks in Houston, unwanted in Memphis, and out of place in a year at Vanderbilt’s stadium. 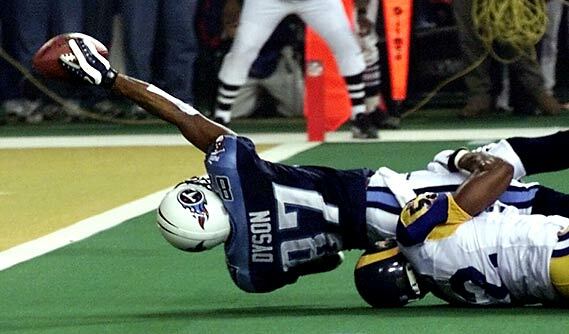 Super Bowl XXXIV ended with the Titans within a yard of tying the game after an improbable comeback led by former Titans quarterback Steve McNair. The Titans would make four more playoff runs over the course of the next several years. During the 2008 season, the Tennessee Titans were the best team in the National Football League. It certainly helped that the league lost Tom Brady to an ACL tear on opening day. The Titans didn’t have an an offensive juggernaut, although the RB duo of Chris Johnson and LenDale White was pretty solid. Opening-day starter quarterback Vince Young got hurt and had an on-field hissy fit, and it turned out that veteran backup Kerry Collins was the perfect player to “game manage” the team to a 10-0 start and 13-3 regular season finish. 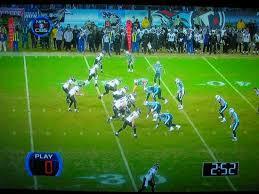 On that night in 2009, the Titans lost to a tough but inferior Baltimore Ravens team. It was a devastating moment, especially when two of the other three favorites fell in an odd playoff weekend. The fandom slowly started dying. We didn’t know it, but that was the end of the high point. Titans fans had two more years of Jeff Fisher going through the motions, the Mike Munchak era born at the end of the lockout and a desperate last attempt by Bud Adams to give a former player a gold watch, and this year’s Ken Whisenhunt-led total implosion. There’s not an obvious savior for the Titans in May’s#2 overall pick. Besides, the team has more than one need. In fact, if you looked at the team’s needs, it’s pretty much every position save punter and long-snapper. I’m left in a tough situation at the end of the 2014 season. I attended more games than I had since 2008, and after losing the home opener to the Cowboys, a game in which the Titans were heavily favored for some reason, I not only thought they would lose every time, I hoped they would. That doesn’t feel like the thoughts of a die-hard fan. I’m not saying that I am giving up on the Titans. We’ve just been “moving apart” for years. I couldn’t possibly make a 100% break, in part because the “decor” in my “man cave” includes Titans pillow covers. I’m not having a bonfire in the backyard with my Titans gear because I’m not a crazy person, and I’d probably need a permit. For the die-hard fans, who think that suffering is noble or who root for the Patriots, give a man a little leeway here. I still like the sport and will spend an obsessive amount of time watching, writing about, and thinking about it. I can’t help it. The Columbia Blue part will just have to be toned down. Previous Let’s Talk NFL Tanking Shall We?